The Georgetown Block has always been a love of Jen’s, so this is her take on a classic. 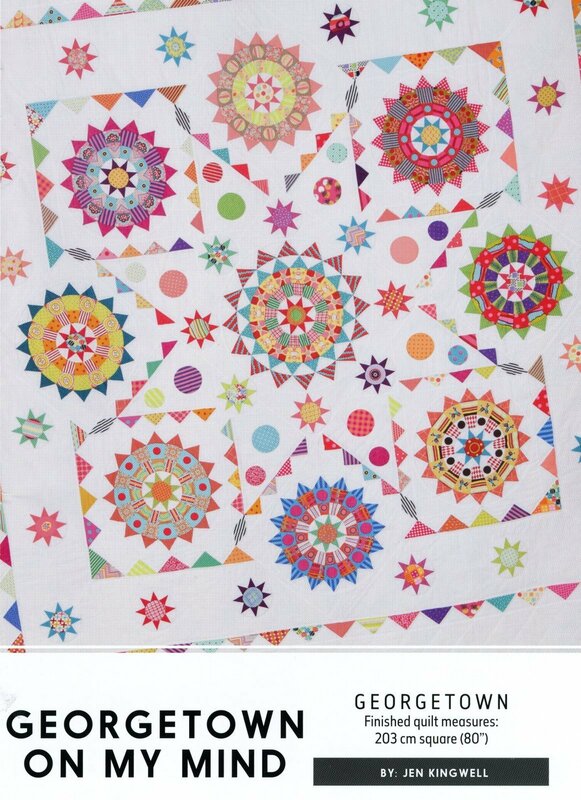 Clever fussy cutting brings this quilt to life, and it looks equally fantastic with a darker background. This pattern is written for hand piecing and appliqu� (method of your choosing).